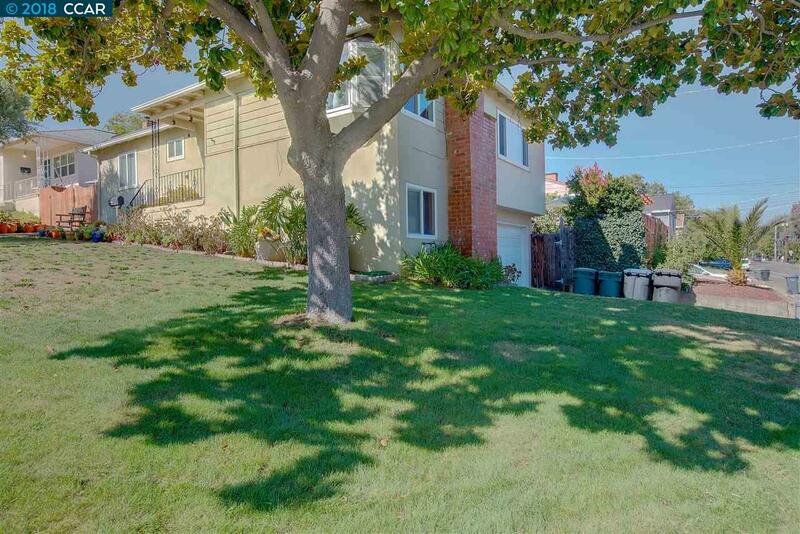 This beautiful updated corner lot home, What an opportunity to be in walking distance to downtown Pleasanton! Home features 3 spacious bedrooms, 1 bathroom with jacuzzi tub and handicap capabilities. Hardwood floors throughout, tile kitchen floor, updated kitchen with Corian counter tops, stainless steel appliances. Large 2 car garage and possibility of a 4th bedroom or office and plumbing for downstairs bathroom in walls. Backyard is perfect for relaxation and entertaining, walk in the screen green house/room and enjoy the view from your own terraced garden with lots of fruit trees. About 3 miles away from BART and easy access to freeway. Walking distance to Pleasanton famous concerts in the parks.